Reduce the amount of trash we create by recycling. It's easy not to care about trash. We literally toss it out of sight — but just because we don't see it anymore doesn't mean that's the end of its life. By creating as much trash as we do, we are contributing to the ongoing pollution problem. According to the United Nations Environment Programme, 1 million seabirds and 100,000 sea mammals are killed by pollution every year. And in 2015, the U.S. Environmental Protection Agency approximated that 40% of American lakes are too polluted for swimming. Let's do something so that we can get our seas, lakes, and land back. 1. Reduce, reuse, and recycle. Make sure to go in that order. 2. Only buy the things you need. If you're constantly throwing out milk because it's gone bad, try buying a smaller container. 3. Go through your trash. Yep, we said it. Get to know what you're tossing so that you have a better understanding of where all the trash is coming from. 4. Avoid frozen foods whenever possible. The packaging is hard to recycle and creates excess waste. 5. Opt for reusable containers and bags whenever possible. Do you end up recycling loads of plastic bottles? Try a bobble Insulate that will keep your drinks as hot or cold as you want them. 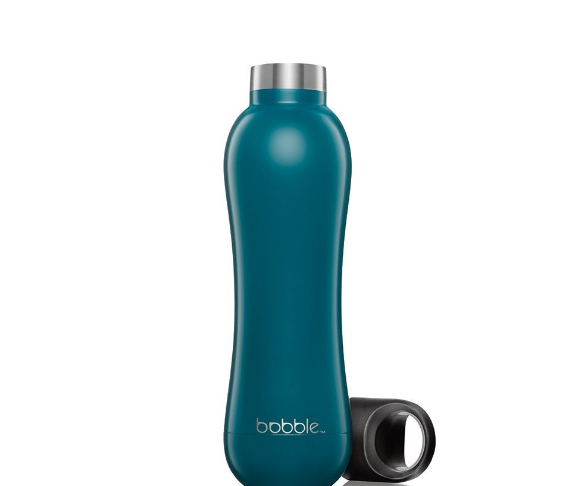 Brought to you by Bobble, this show helps you make smart choices in your daily life - from shopping "fair trade" products to reducing your trash. Refinery 29 helps you learn How to Give a F%&! The White House Chef Made This For You. Seriously.